What’s Octane®? We’re glad you asked! Octane is our proprietary home loan platform we built for borrowers looking for a faster, easier, and more streamlined lending experience. We saw the pain points that come with mortgage lending and decided to design a tool that would help us deliver the best mortgage experience possible. It’s our solution to the industry’s complexities and it’s giving borrowers the power to have a more convenient lending experience. It’s your loan on your time. Octane is designed to foster the most predictable, efficient, and controlled lending experience. We’ve engineered a mortgage platform that collects all of your information up front, generates a live rate quote tailored to your unique financing needs, and seamlessly guides you through a simple to-do list to help you gather required documents in a snap. With Octane, our customers have more control over the process than any other lender can offer. We believe that more control results in a better experience. That’s home financing as it should be. Cardinal Financial is powered by Octane. Octane is our proprietary loan origination technology we built for our borrowers and loan officers. It’s a robust, industrial-grade platform designed to make doing business with us faster, easier, and more efficient than ever before. Octane is a highly engineered solution that doesn’t just benefit our customers and partners, it powers our business. Borrowers today are not only looking for speed and convenience. They’re looking for accuracy. Home financing solutions that are crafted and tailored to their unique needs. Octane makes it easy to get accurate rate quotes, view your loan options, and upload and e-sign required documents. If you’re tired of the back-and-forth phone calls or wasting time emailing and faxing documents, that stops here. 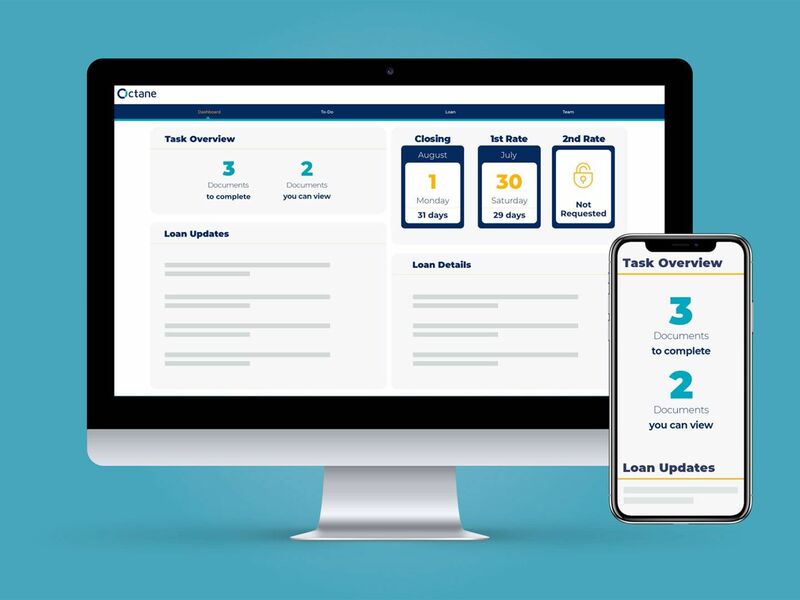 Meet Octane—the industry’s most accurate, modern lending solution that eliminates frustration, saves you time, and happens all where you want it to. At home. Octane generates a list of all the necessary documentation we’ll need for your loan. Granular details, price breakdowns, and closing costs all at your fingertips. View your loan activity and receive live updates at each loan milestone. Sign in even on the weekend to view your loan or get started. No emailing or faxing. E-sign everything right in Octane. If you’re interested in Octane, we’ve got good news. You can get connected with one of our licensed loan officers today and they’ll help you get started. Once they find out what you’re looking for, they’ll send you a link and invite you to set up your Octane account. Want more information on what our process looks like? Check out Our Process.